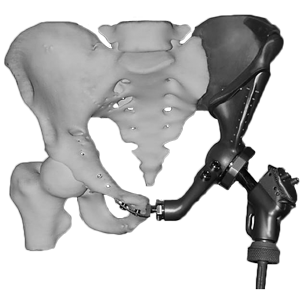 An implant replacing the hip joint together with a large segment of the femur. There are two types of proximal femoral components available, namely the minimal resection and the large resection. 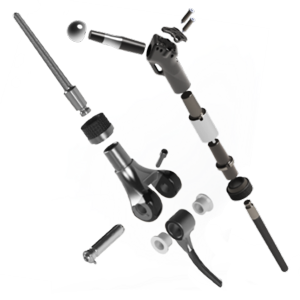 Both types offer a reattachment site for the greater trochanter. This site has porous structures, which assist the osseointegration of the bony part of the greater trochanter into the implant. The fixation can be assisted with sutures and/or a clamp-plate. 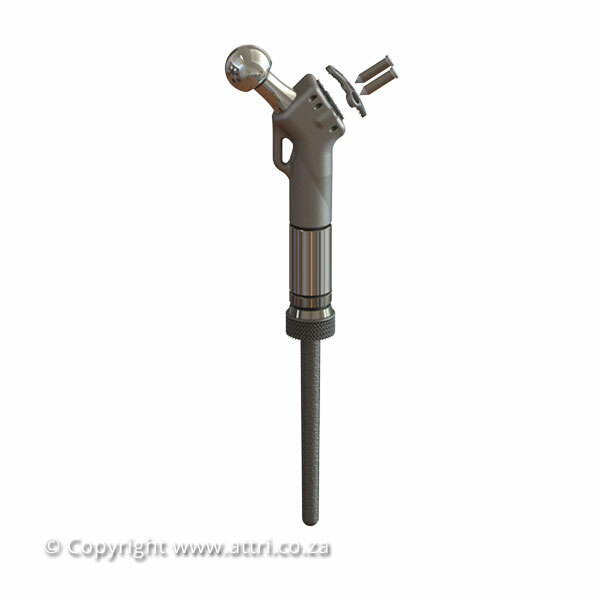 The minimal resection proximal component offers a reconstruction length of 80 mm. Four length variations are offered in addition to its minimal length, namely, 107 mm, 112 mm, 127 mm and 122 mm by adding extensions. 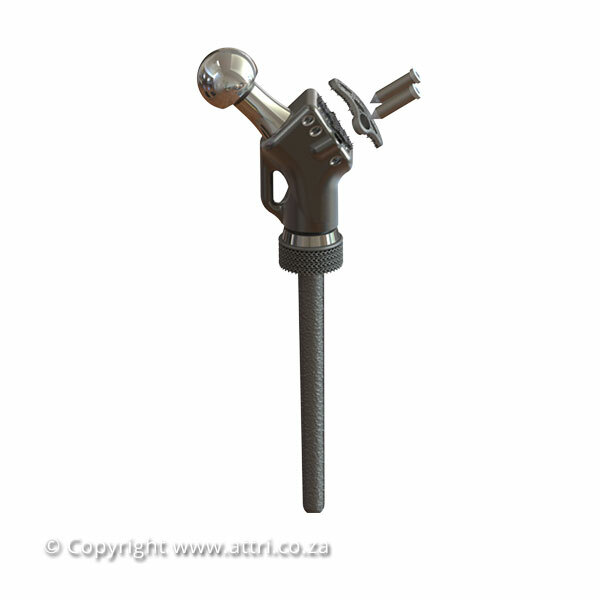 There are two CoCrMo alloy femoral heads available (28 mm and 22 mm diameter), both having a conical 12/14 connection with the femoral neck. 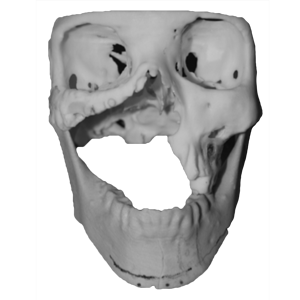 These standard size heads can articulate with an acetabulum cup-and-liner system available from other manufacturers. There are seven femoral necks available which allow modularity on the neck length at increments of 3 mm. At the resection level, both types of proximal femurs can accommodate modular osseointegration rings, which have diameters to match the femur at the resection.